The United States may decide within the coming year to station yet another military brigade in Europe as part of the efforts to deter Russia, says Alexander Vershbow, NATO's former deputy secretary general who now works as expert at the US international relations research centre Atlantic Council. "I am hopeful that sooner or later an additional armored brigade combat team will be assigned to Europe. I think it is more likely that it will be based in Germany but possibly with forward elements pre-positioned in the Baltic states or at least the equipment. 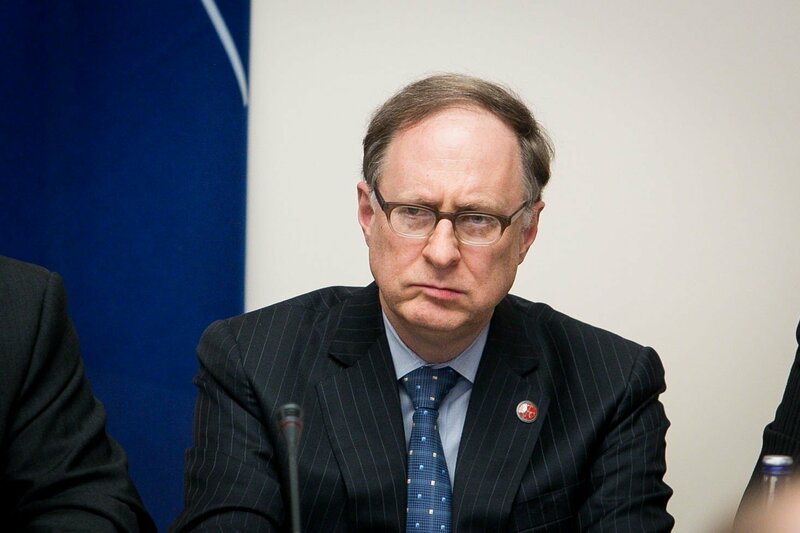 But it may take one or two years before this is fully decided and implemented," Vershbow told BNS Lithuania in an interview in Washington D.C. The Atlantic Council 's expert said the decision to send an additional unit of US troops to Europe could be made before the NATO summit timed for next July, however, the transfer of the brigade could take a few years. Earlier this year, the United States terminated permanent rotation of troops in Lithuania, however, the US troops will continue coming for military drills. Companies of US troops were rotated in the Baltic states since 2014 in response to Russia's aggression in Ukraine. A brigade of around 4,000 US troops was stationed in Poland earlier in 2017. Another 1,000 troops, mainly Americans, are part of the international NATO battalion operating in Poland. Around 1,000 NATO troops are also stationed in Lithuania, Latvia and Estonia each.